The FBI has indicted a Long Island man on 14 charges. Central Islip, NY - December 10, 2013 - A 14-count indictment was unsealed today in the United States District Court for the Eastern District of New York, located in Central Islip, charging Robert Rocco with wire and mail fraud in connection with a series of business ventures that he created. Rocco was arrested earlier today and will be arraigned before the Honorable Leonard D. Wexler in the federal courthouse in Central Islip. The charges were announced by Loretta E. Lynch, United States Attorney for the Eastern District of New York, and George Venizelos, Assistant Director in Charge, Federal Bureau of Investigation (FBI), New York Field Office. The indictment alleges that Rocco, while acting as the president of the Dix Hills Soccer Club, solicited club members and volunteers, friends, and neighbors to invest money in a series of businesses that he formed, including Limestone Capital Services (Limestone), Advent Merchant Services LLC, and Advent Equity Partners LLC, that Rocco claimed would earn high rates of return on investments. Rocco allegedly told investors that they would receive returns of up to 18 percent of their principal investment annually through the companies’ investments in ventures that purportedly included providing loans to finance wholesale cigarette purchases on behalf of the Shinnecock Nation tobacco shop and a credit card processing venture. The indictment charges that Rocco solicited and received approximately $5 million in investor money between 2006 and 2013, money which was not invested as promised. Instead, Rocco allegedly misappropriated the money and, additionally, solicited money from new investors, money which he used to pay purported profits to earlier investors, thus concealing the earlier misappropriation. Rocco also is alleged to have sent fraudulent account statements to investors that falsely showed that investors’ accounts had earned high rates of return. The indictment further alleges that Rocco controlled the bank accounts and records of the Dix Hills Soccer Club and did not permit others to have access to them. Between January and March 2010, Rocco allegedly deposited $66,915 in checks from the soccer club into Limestone and later distributed the proceeds of the checks to early investors in Limestone, leaving the soccer club with no funds to operate. In April 2010, Rocco allegedly sought and received donations to allow the club to continue operations. “As alleged in the indictment, Rocco employed fraud and deceit to victimize friends and neighbors and even used his local soccer club to further his schemes. His promises of high returns were illusory, propped up by false account statements,” stated United States Attorney Lynch. 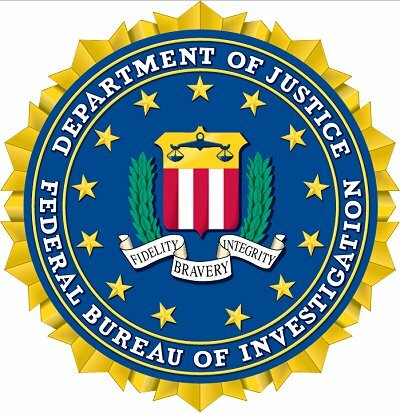 “Today’s arrest demonstrates our continuing commitment to investigate and prosecute those who commit financial crimes, particularly those who haven’t gotten the message that we will actively and aggressively pursue those who inflict financial harm on our citizens.” Ms. Lynch thanked the Federal Bureau of Investigation for its work on the investigation. “As alleged in the indictment, Rocco mastered the role of con artist when he traded upon his relationship with friends and colleagues with empty promises of high financial returns in exchange for their investments. While not physically violent, Rocco’s alleged actions had a significant impact on the lives of his victims who lost their hard earned money to someone they trusted. The FBI will continue to vigorously investigate those who prey upon and defraud members of our community for their own personal gain,” stated Assistant Director in Charge Venizelos. The government’s case is being prosecuted by Assistant United States Attorney Allen Bode. Subject: LongIsland.com - Your Name sent you Article details of "Long Island Man Charged with Orchestrating $5 Million Ponzi Scheme"